I started the week spending half the day in bed recovering from a virus. On Wednesday, I no longer felt like a piece of chewed string so drove over to Northbrook to photocopy all my course notes in readiness for my Creative Writing courses which start tomorrow. On the way home I popped in to see my sister and catch up. We ended up at the Harbour Lights café for a cuppa and a HUGE slab of lemon drizzle cake – yum! In the evening I attended Writing Group where the lovely Sarah Palmer gave me loads of useful advice regarding where to take Miranda’s Tempest. On Thursday, Mhairi and I did our tax returns together, which worked really well. I always find this online business stressful, but going through the document with a buddy feels a whole lot less lonely. As a reward for having completed a really grotty job, we sat down to watch Sharknado 5 which had us howling with laughter. I finally started teaching Tim a whole week later than I should on Friday. It was all about the film rehearsal which I attended most of Saturday. Frances accompanied me and I helped with the blocking and line rehearsal for several scenes. It’s lovely seeing Tim’s film script being acted by an enthusiastic, energetic cast. Today my sister is coming over for lunch and as the grandchildren are staying over this week-end, it should be a noisy, enjoyable affair. I love having plenty of folks sitting around our kitchen table talking and laughing as we eat. I hope you have a lovely week, hopefully with some of that fine September weather we’re owed. The Hokkaran empire has conquered every land within their bold reach―but failed to notice a lurking darkness festering within the people. Now, their border walls begin to crumble, and villages fall to demons swarming out of the forests. Away on the silver steppes, the remaining tribes of nomadic Qorin retreat and protect their own, having bartered a treaty with the empire, exchanging inheritance through the dynasties. It is up to two young warriors, raised together across borders since their prophesied birth, to save the world from the encroaching demons. This is the story of an infamous Qorin warrior, Barsalayaa Shefali, a spoiled divine warrior empress, O-Shizuka, and a power that can reach through time and space to save a land from a truly insidious evil. Ceony Twill arrives at the cottage of Magician Emery Thane with a broken heart. Having graduated at the top of her class from the Tagis Praff School for the Magically Inclined, Ceony is assigned an apprenticeship in paper magic despite her dreams of bespelling metal. And once she’s bonded to paper, that will be her only magic… forever. England. A century ago, give or take a few years. An England where people who are wicked in thought or deed are marked by the Smoke that pours forth from their bodies, a sign of their fallen state. The aristocracy do not smoke, proof of their virtue and right to rule, while the lower classes are drenched in sin and soot. An England utterly strange and utterly real. An elite boarding school where the sons of the wealthy are groomed to take power as their birthright. Teachers with mysterious ties to warring political factions at the highest levels of government. Three young people who learn everything they’ve been taught is a lie – knowledge that could cost them their lives. This world is fascinating, where the presence of Smoke defines and hardens class barriers. This alternate history is enjoyable and thought provoking. 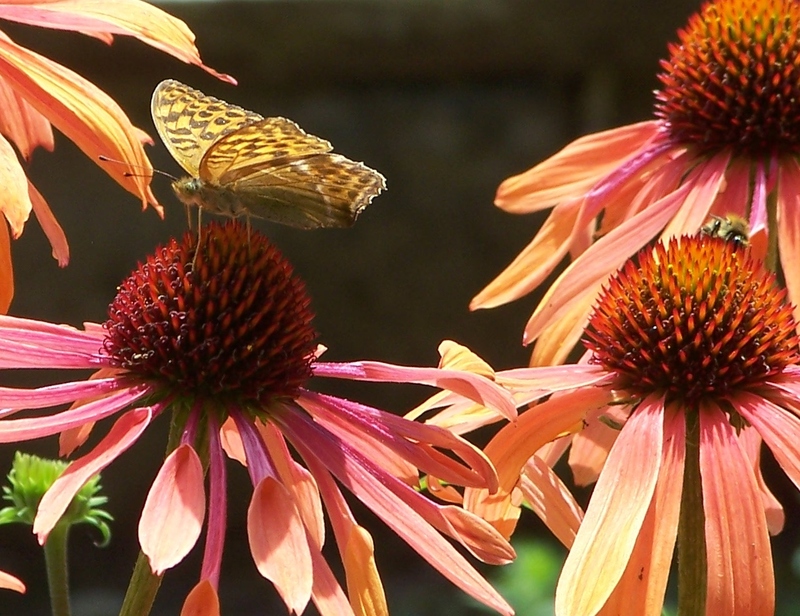 Goodbye is not an Option https://ginnibites.wordpress.com/2017/09/10/goodbye-is-not-an-option/ Ginni is a talented poet and this moving poem written in collaboration with a grieving widow is beautiful and brave. 10 of the Best Poems about Friendship https://interestingliterature.com/2017/09/13/10-of-the-best-poems-about-friendship/ This is a lovely selection of poems about the positive relationships that enhance our lives. Different Ways To Organise Your Bookshelves https://aspiringwriter22.wordpress.com/2017/09/13/different-ways-to-organize-your-bookshelves/ Half of these ways of classifying my book collection never occurred to me, what about you? Sorry to hear you caught a virus at the start of this week. I hope you’re fully recovered by now. That lemon drizzle cake you ate sounds delicious! I am not a fan of the tax stuff for my business either, I always keep track of everything throughout the year and my mom helps me when I have to submit things, which is a big help. Sounds like you had some good reads this week. Have a great week! Thank you Lola:). To be honest, I think I picked up a minor cold which quickly turned into something a lot more nasty – probably because I was very tired… Yes – that lemon drizzle cake was scrummy and the tax returns are not much fun – but having someone else alongside makes it feel so much better. Glad your mum pitches in:). Thank you for your good wishes – I hope you, too, have a great week. Aha, I can relate. Thanks and likewise! Ooh, a mean virus can ruin a week…but I like how you treated yourself to that big slab of cake…and a cuppa, too, of course. Enjoy your reading….I am curious about Smoke. Yes… it’s an interesting book – I’ll be reviewing it in due course. I am glad you are feeling better, Sarah, although sad you were sick for a good part of the week. Sounds like you got a lot in this week though! Good luck with the start of classes this week! I am really looking forward to reading Smoke. It sounds wonderful. 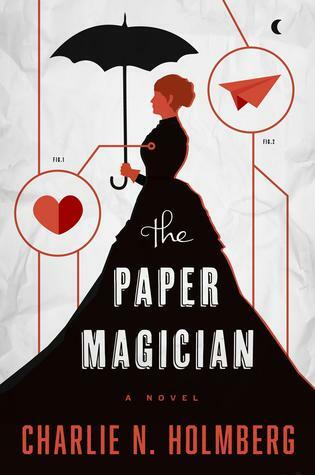 I am curious about The Paper Magician, but admit I too would likely have an issue with the teacher/student romance. I love the sound of The Tiger’s Daughter. I’ll have to look for that one. I enjoyed the article you shared about the different ways to organize your books. I think I use quite a few of those, depending on the shelf! Most of my books downstairs are divided by genre, and then alphabetically by author. My daughter’s books are organized by size (height) mostly. I do have books set apart which are organized out of love, you could say. In my bedroom, I have a shelf devoted to my immediate TBR pile books (although I don’t always pull off it before going for something else . . .)–so there’s the use of status to shelve books. Oh, and by type. I keep most of my hardcover and trade paperback books downstairs and my mass market paperbacks are all upstairs on separate shelves. Except for my TBR shelves, which are separate and a mix of book types. I’ve never wanted to organize by color. Thank you Wendy:)). Yes – they were all interesting reads… I was a bit shaken that not more folks minded about the teacher/apprentice situation in The Paper Magician, but as I am a teacher and have zero tolerance for anyone crossing that line, perhaps that is the reason I had an issue with that part of the story. You had a busy week. Great reading! Thank you, Jennie. I hope you have a great week and enjoy your reading. Ugh illness is no fun! Hope you have a great week coming up. I have been curious about The Paper Magician! It looks good! Yes – it is well written and I particularly enjoyed the beginning when Ceony first had to face becoming a paper magician. I thought the magic system was reasonably well handled, but had a bit of a problem with the pov and the romance. That said, it is very popular and loads of other folks absolutely loved this one. Ahhhhhh The Tiger’s Daughter!! 😀 I actually know someone who works at Tor/Forge Books, so I *may* be getting a copy of it soon, along with the last two books of Brian Staveley’s Unhewn Throne trilogy. 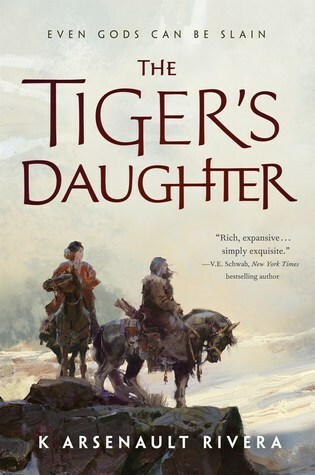 I loved the writing and I think the letter works very effectively – the story held me right to the end and I thought the romance was both tender and convincing, so fingers crossed you get a copy of The Tiger’s Daughter:))). Yes, I’m a lot better, thank you. As for the tax-filing… it is a nightmare! It took me nearly half an hour to find out where the NEW system at college had tucked away my P60 – which was stored in an icon with a paperclip and the word DOCUMENTS that flashed up when my cursor rested on it. It took me a while to realise this was where all my wage slips, etc were kept… And it made the whole sorry business so much easier when dealing with it alongside someone else. About the taxes: Oh gosh. It’s bad enough that taxes can find all of the documents you need, it really doesn’t help. :S But it sounds like they’ve been submitted now, so you (hopefully) don’t need to worry about them again for another year…? Yes – and fully approved:)). Phew! I’m glad you recovered from the virus fairly swiftly – mine lasted a week. I hope you enjoy Running Out of Space – it’s a bit nervewracking knowing that it is now ‘out there’ – but also quite exciting… Have a great week and thank you so much for giving ROoS a go:)). Smoke looks very interesting and unique! I like that premise. Oh yes – I think you’d love Sharknado 5 – it has got to the stage where it is half sending itself up. A load of old tosh to be honest, but we both howled with laughter at all the nonsense – my personal favourite is still Avalanche Shark, which had me laughing until my ribs hurt:). 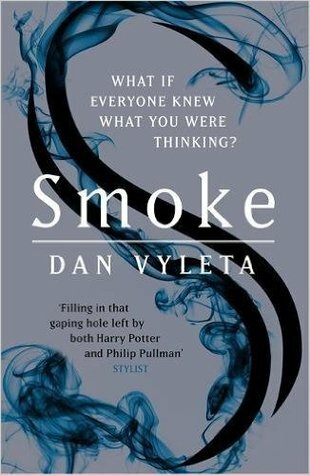 Smoke is definitely interesting – a really unusual, nifty premise and was an enjoyable read. I’ve always wondered about that Paper Magician book. The author was a student of Brandon Sanderson and she was on one of the Writing Excuses episodes. She bunks the belief that all fantasy has to be long and epic. I believe her books are about 60k long. So that alone intrigued me. I’ll have to check them out! She is a very good writer – I’ve read some of her other work. And I enjoyed the world and the character – it was that particular aspect which was a personal sticking point for me. But emphasis on the PERSONAL bit – a large number of readers had no problem at all with it. Lemon drizzle cake. I swear there is nothing better in the cake department!! I must convince my Bf to make one for me again… he makes it so well, mm. Makes me want one now, reading your post! Yes – it was totally scrummy. And your Bf is definitely a keeper if he makes lemon drizzle AND is blogging alongside you:)). Thank you for visiting and I hope you’re having a great week. Oh I hope you’re feeling better. I hate being sick. Enjoy lunch with your sister and your time with your grandchildren. I’m curious about Paper Magician. I’ve heard good things about it and since I don’t read much fantasy I love that crazy long. That scares me off from reading a lot of fantasy though I think I’ll have issues with the teacher/student romance. Have a great week! Your week sounds busy but lovely. Mine was busy and surrounded by fall weed allergies to the point that I couldn’t go outdoors except when I could go from the car to a building and back. Hopefully, this week will be better, but I have my doubts, for we are due thunderstorms but temps in the 90’s almost every afternoon–think steam bath! Oh my goodness! I might be dreading the cold weather to come – but that’s just ridiculous. And it can’t be all that good for you, either… I hope your feel better soon, Rae:(. Great week – well apart from the nasty virus! I don’t fancy feeling like ‘chewed string’ for sure! Sorry it took me almost a week to visit Sarah. This back to school weeks have been craaaazyyy! I hope you are feeling better by now. I always wanted to read the Paper Magician! You’re welcome – I went back this week, which is only part time – and it hit me like a brick… I’m lots better now, thank you:). And The Paper Magician is a lovely story with lots of charm, but I did have a couple of issues with it. So do give it a go as I’m clearly in the minority – I’d love to know what you think. I know this was a while ago but it’s never too late to say a big thank you eh? Sorry I didn’t reply to this sooner (in my defense i thought I had), but it’s been a bit of a blurry month. I really do appreciate the share though and your continuing support, it really does mean a lot to me. Oh please don’t worry Ginni – no offence taken. I don’t quite know what happens, but some sites I follow just drop out of my WP notifications – and your is one of them:(. Also – this last month I’ve been suffering with flu so there was a spell when I wasn’t around so much! Really starting to feel human again – which is a HUGE relief!